i've received emails and comments asking me a few questions about my shop and updates and all that stuff, so i thought i would write a post to answer them. when are you updating the shop? 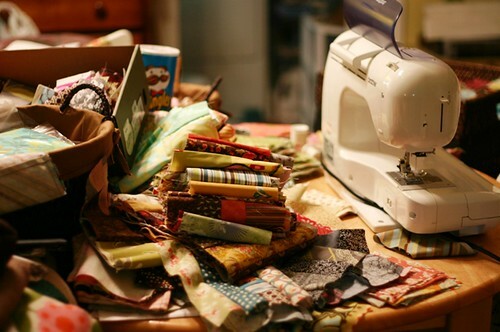 i am currently getting ready for artfiberfest, where i will have a vendor table with aprons, scarves, pillows, pincushions, and a few other fun things (i am putting together some vintage sewing packets too). i am also getting together a couple of orders for some shops that will be carrying my creations. (i. am. so. excited. about. this!) because i am in full assembly-line creating mode (as these pictures indicate), i won't be updating the shop until after artfiberfest. so, look for a shop update (aprons and scarves) the week of october 27. i will post an announcement here when i have things in the shop. my plan will then be to update the shop with a few items every 10 days or so. after squam, i received several custom orders. and, as those of you who placed an order know, they are taking me quite a long time. because i am getting ready for a huge show in early december in seattle (urban craft uprising!!!! can't wait to be part of this incredible event. ), i won't be taking custom orders for fabric items (meaning bags, scarves, aprons, and pillows) until after the holidays. thanks for understanding. i am always accepting custom soul mantra necklace orders and will continue to do so. are you ever going to add any of those natasha slingbags you sold at squam? what about those big bags? thanks to all the squamlettes who have asked about the natasha slingbags (they look like my everyday bag seen here). yes! i will be adding bags to the shop, probably the second week of november (or so). 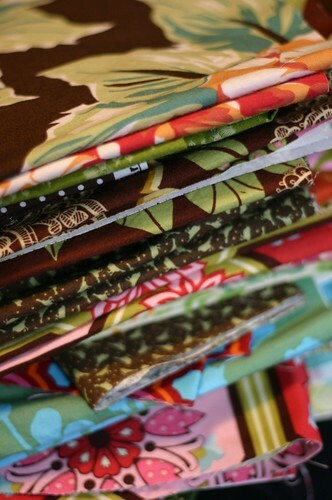 i have a nice stack of gorgeous fabric that will soon be cut into natasha bags. some of you also noticed my huge bag that i often carry (seen here). i am calling that the natasha big bag. 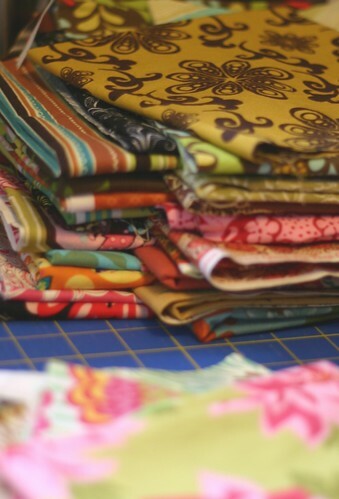 i have several cut out, ready to be sewn together. look for those in november. additionally, i will be adding some selma totes to the shop in time for the holidays. will you be adding long aprons soon? some of you might have spotted me wearing a long apron at squam and art and soul. it is about mid-calf length and goes around the waist almost like a skirt. i will be making a few of these, in various waist/hip sizes, probably in mid-to-late november. any other new items to share? what about that baby quilt you made? 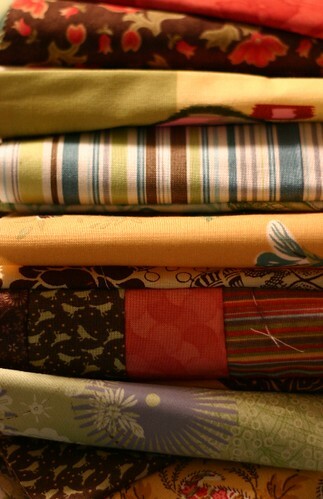 new items for the holidays will include a few mom and child apron sets. possibly a few new pillow designs. and maybe a few sterling silver soul mantra pendant designs. i am also working on a smaller natasha "big" bag. same shape, smaller size. are there other questions out there? just let me know. and now a question (a bit off topic) for you: know of any good arm warmers - mid-forearm to elbow length - that are knit or crocheted (and not itchy wool)? i would like to buy a pair or two. sewing late into the night in our home has made me realize i need to buy another pair or seven. i seem to easily misplace them in coat pockets and bags and on and on. and i just don't want to have to search for them late into the night. (if this is something you make for fun or sell, i would be interested in trading for some if that interests you as well.) thanks!